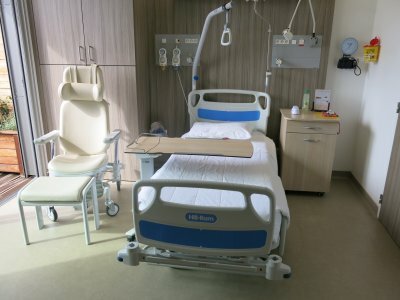 Cystic Fibrosis patients need to have their own patient room due to risks of cross infection. This is due to the low immune system caused by CF, and the ability for bacteria to grow easily on their lungs, people with Cystic Fibrosis can't meet each other or be in the same room. This is because infection can be spread by passing between different individuals with CF – especially if they have a different strain of the illness. We would like to build a new room at King's College Hospital to increase their rooms from 9 to 10. This will mean more patients are able to be treated at a time. This will make a massive difference to all CF patients at King's College Hospital. CF patients are on average in hospital for 3-4 weeks and we will ensure that the new room has the previously completed differences available such as the exercise bike, Dyson fan and free WiFi.